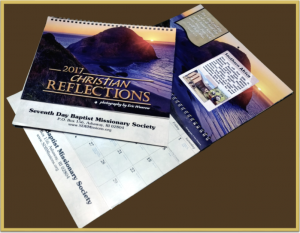 The 2017 Missions Prayer Calendar will be mailed out, as our gift, to existing and new 200 Club Members. In the calendar, each month features a region where SDBs are ministering, their challenges, and specific ways to hold them up in prayer. The twelve regions are: USA & Canada, Europe, Central America, The Caribbean, East Asia Islands, South Korea, Oceania, India, East Africa, Southern Africa, South America, and West Africa. 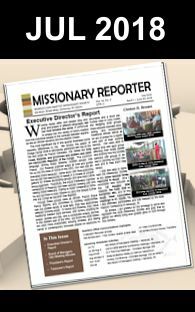 SDB Missions is a 501(c) (3) non-profit organization. It has been the generosity of donors that allow us to bring God’s glory into the world. All donations are tax deductible to the full extent of the IRS codes. Become a 200 Club Member of the Society with $200 annually or $17 monthly as of Dec 1, 2016 & receive a prayer calendar to help you pray for missions around the world.